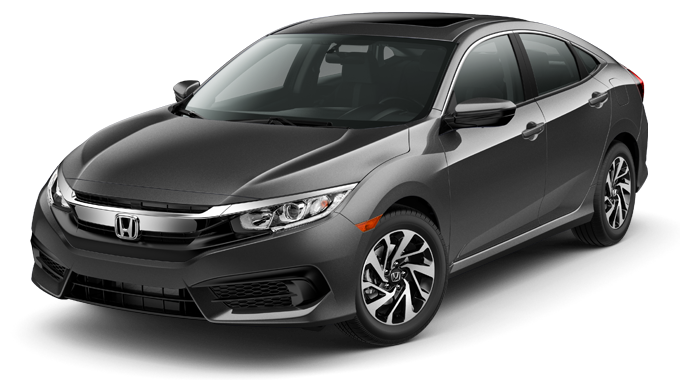 The 2018 Honda Civic Sedan is versatile and impressive with a well-equipped cabin and an affordable price. A legend on the road for decades, the Civic Sedan offers drivers comfort, convenience, and safety to make a valuable companion on the road. The Honda Civic “has become the benchmark for the compact class,” according to Kelley Blue Book. And that excellence is apparent from the start with the entry-level LX model. Priced at just $18,940 MSRP for 6MT models,* it includes a long list of features and equipment not found on many comparable models. The LX also includes entertainment features and ways to stay safely connected while behind the wheel. And with hands-free technology and a feature that automatically lowers the audio volume when the Civic slows down, drivers can keep their hands on the wheel and their attention on the road. The Civic Sedan has a deep commitment to safety with standard safety features present on every model. These features help ensure the Civic Sedan is clearly visible to other drivers on the road, comes to a complete stop more quickly in an emergency, and keeps good tractive control no matter what the road conditions might be. Honda Sensing is a package of driver-assistance technology features that helps drivers see more, do more, and drive more safely on the road. The suite is available starting with the entry-level LX model and is standard on the Touring model. Forward Collision Warning – Sensors detect when an oncoming vehicle is dangerously approaching the Civic Sedan and will warn the driver to take swift action. Lane Departure Warning – If the Civic Sedan begins to sway out of its lane on the highway, this system will warn the driver to correct the steering. Collision Mitigation Braking System – If the driver fails to respond to the Forward Collision Warning, this system can engage the brakes in order to mitigate any impact. Road Departure Mitigation System – If the Civic Sedan rolls over lane lines and road markings, this system can help correct the steering to prevent the Civic from going off the road. Lane Keeping Assist System – If the Civic Sedan sways out of its lane on the highway without a signal change, this system nudges the steering to bring the Civic back to the center of the lane. 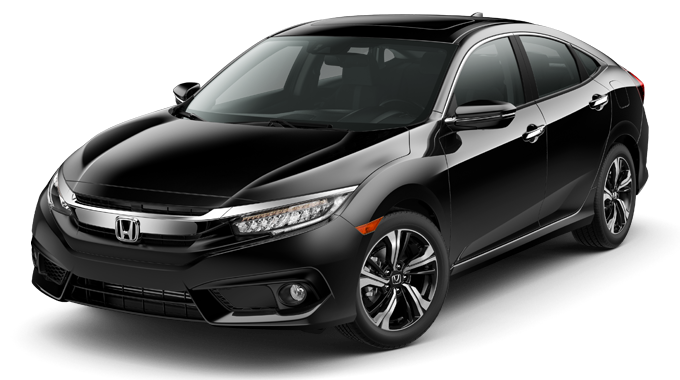 Adaptive Cruise Control with Low-Speed Follow – Drivers select the desired speed and distance interval with the vehicle ahead, and this system balances between them, keeping the Civic within the natural flow of traffic. Find out more information on the 2018 Honda Civic Sedan by contacting us or visiting your nearest Central Illinois Honda Dealer. Explore current offers and sit behind the wheel for a test drive toady.